There have been reports of "fuzzy" meteors for a long time. In the literature the source of these are often referred to as "dustball" meteoroids. I've seen many fuzzy and quite indistinct meteors with the Watec 902's but since starting to use the 910's I have started to record quite a number of meteors that seem to simply melt away. Often the appear to elongate as they disintegrate. I think this is simply due to the better sensitivity of the 910's in being able to record such things now. Due to the nature of these meteors one really needs to see the videos to appreciate how they seem to dissolve to nothing. 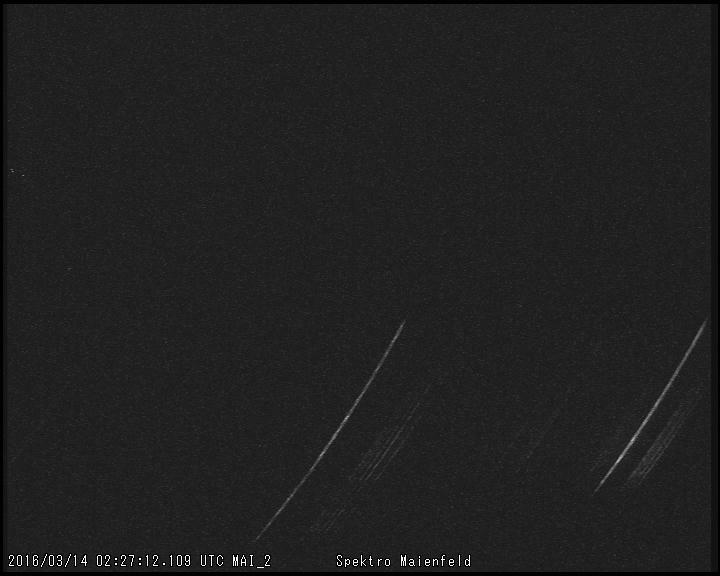 This is quite different to the usual, more rapid disappearence of the majority of meteors recorded by video. Definitely a distinct class of "fluffy dustballs"! Yes, I have seen a lot of this type meteor. I call these meteors “crumbling meteor” which is directly translated a Japanese word into English. I show the interesting one, for example. This type meteors sometimes appear in shower of AND and DRA. Yes, it is good fun to study the video recodings carefully. We can now observe meteors as never before! To be a bit more "scientific" I used IRIS to take a slice through the meteor trail to give a light curve. 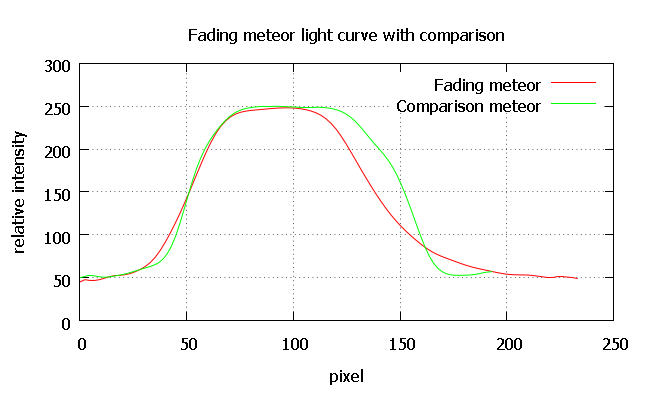 This shows the usual rapid, near linear (pixels 50 -150), onset but a much more gradual, almost exponential (pixels 250 - 450), decay in brightness as the meteor fades away. 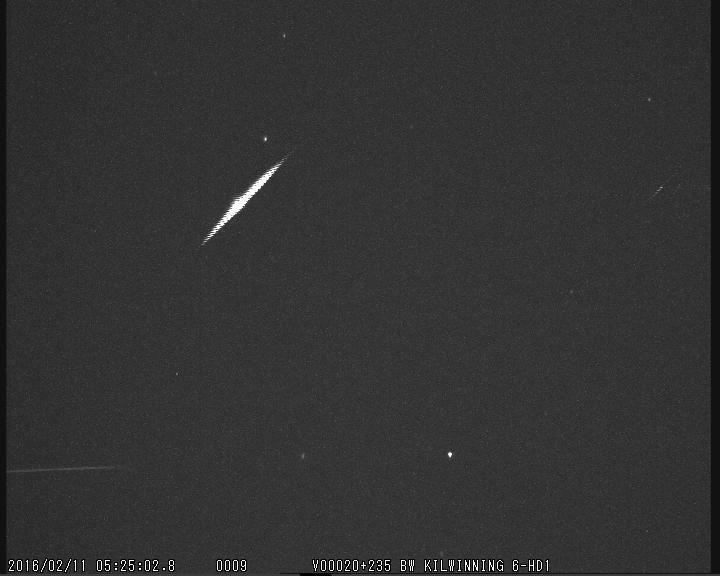 Captured another "slow fade" meteor and also another bright meteor to compare it to. The graphs show the more rapid decline of the comparison and the slower decline of the fading meteor, nice to see the difference. Turned up this whilst reviewing video captures from a few nights ago. 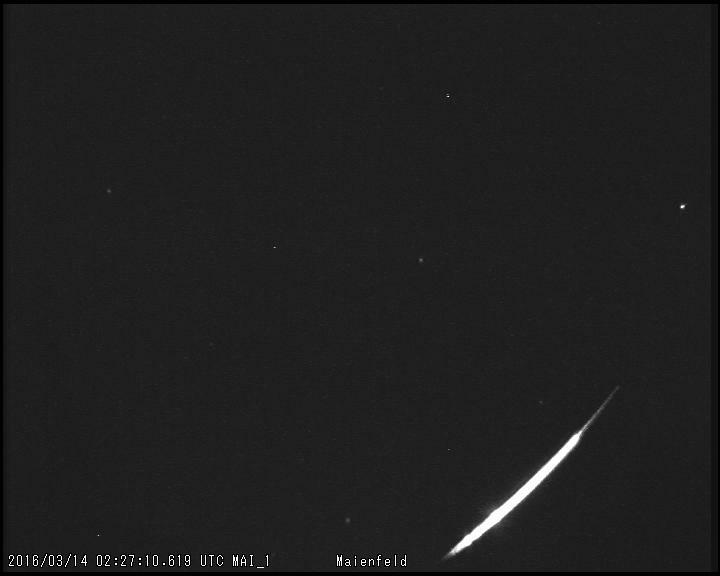 Not quite a "melter" but the meteor did seem to vary in brightness very subtley thorugh its trajectory. Using a the usual slice function just reveals all of the scan line artifacts but doing a bezier smoothing function reveals the brightness variations. 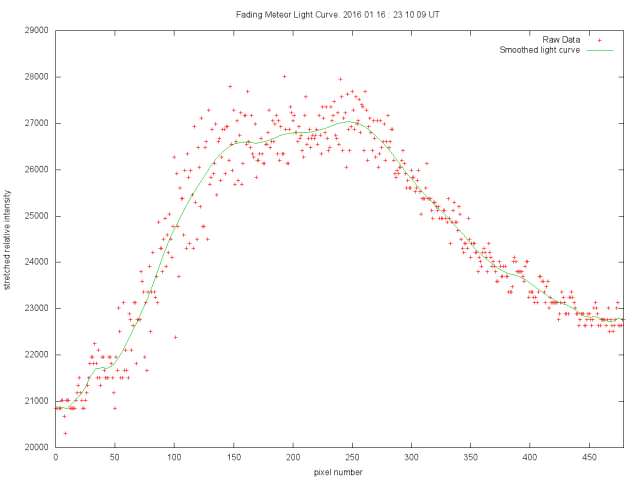 Perhaps the meteoroid was tumbling as it ablated but I've never seen a light curve with 5 peaks before. I have read you massages, but I could not reply due to my situation. I might know your new trial to analyze the meteor. 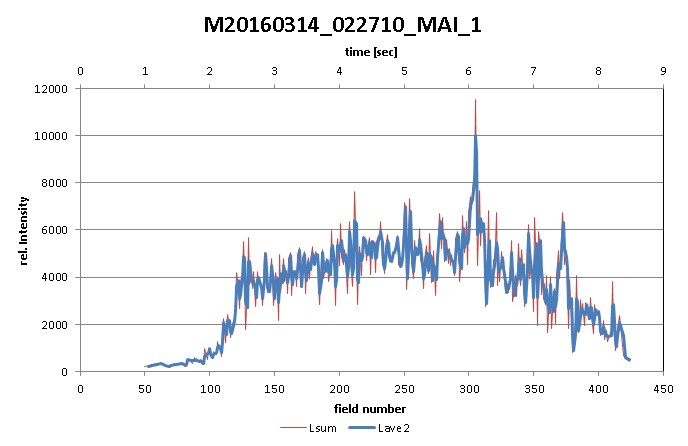 I think that a snap shot ( a fｒame of video) of a light curve is better to show a characterization of "slow fade" meteor than the total light curve of meteor. 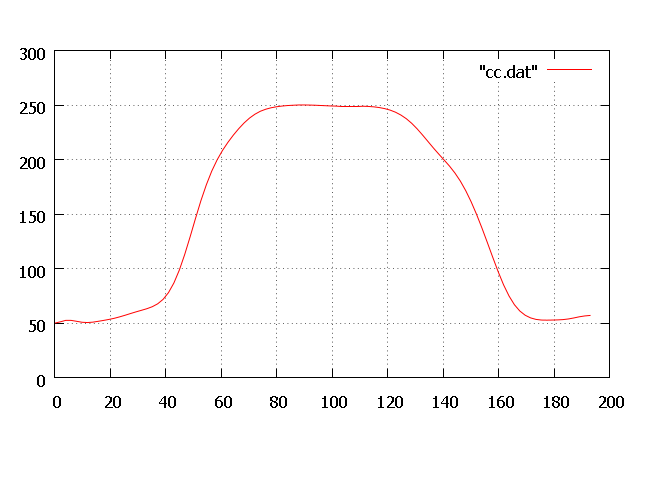 I feel it is difficult to interpret the difference between the both light curves. Do the intensity of 250 mean the saturation of sensor　? x axis: Pixel number along trace. I edited a melting meteor every 5 frame. The meteor extends and darkens. These changes are interesting and may show the hardness of meteoroid. That's a nice way to show the effect. The videos and stills show there must be some mechanical properties which really affect the meteor ablation. you can extract the luminosity with the UFO Analyzer from the file M*A. xml, which you can open in EXCEL. 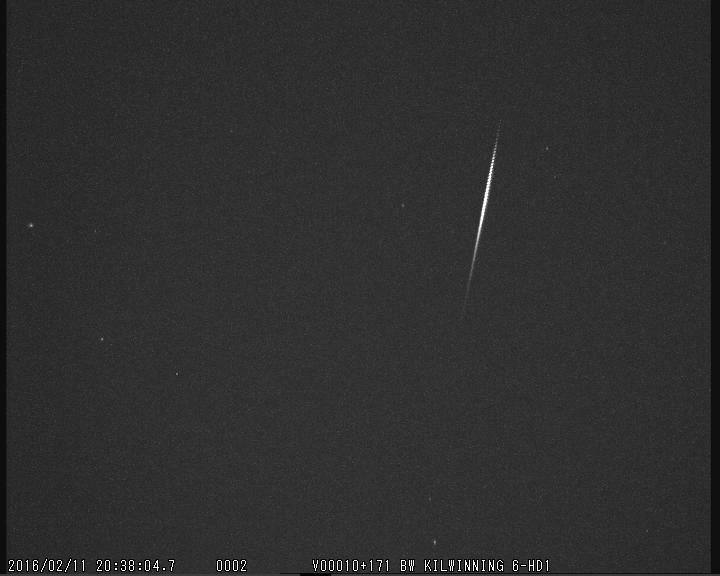 Here an example of a very recent slow meteor (7.5 sec, -4m, v0=12.8km/sec). I think this estimate is more precise because it uses all the signal from each field. 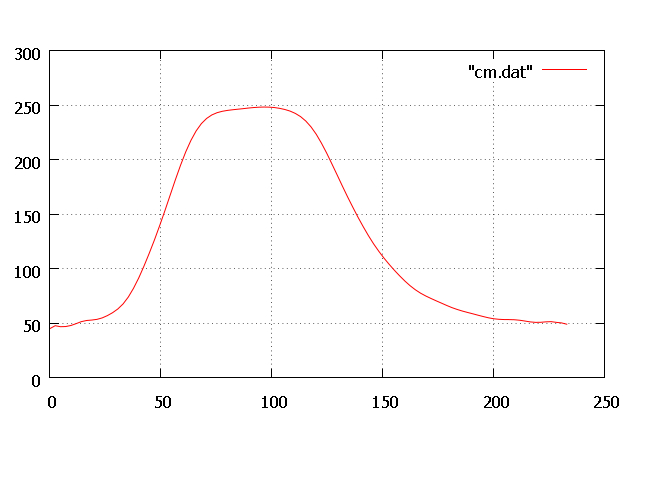 Averaging even and odd fields increases S/N and eliminates some possible ripple. With luck I also recorded the spectrum, unfortunately only the weak negative orders. I'll need to explore this more. Some interesting things going on. Looking forward to catching up with you at the IMC. ... and looking at the participant list this might be the biggest IMC ever!